Researchers at the University of Arizona Mel and Enid Zuckerman College of Public Health and the UA Lowell Institute for Mineral Resources received a $1.6 million federal grant to develop more effective training methods, including using “serious computer games,” to improve safety among U.S. mine workers. The University of Arizona Mel and Enid Zuckerman College of Public Health and the UA Lowell Institute for Mineral Resources have received a $1.6 million federal grant to develop more effective training methods – including the use of computer games – to improve safety among U.S mine workers. Falling within the realm of “serious games” – those that have applications other than entertainment – the simulations will be designed to replicate a real-life mining environment. Serious games provide an opportunity to put mine workers in dynamic situations and environments that allow them to make decisions and see the consequences of their actions. The three-year grant is funded by the National Institute for Occupational Safety and Health (NIOSH). The UA team is a pioneer in the use of serious games that simulate training exercises for mining industries. Earlier this year, the UA licensed an interactive training program developed at the Lowell Institute for Mineral Resources to Tucson-based startup company Desert Saber. The program, created in collaboration with the UA Zuckerman College of Public Health and with funding from Science Foundation Arizona, NIOSH and the Mine Safety and Health Administration, simulates training exercises for mining industries. For the NIOSH study, the UA research team is partnering with McCraren Compliance, a Tucson-based company that provides mining and other occupational training safety services, the office of the Arizona State Mine Inspector, recipients of the Mine Safety and Health Administration grant and other local and national mining companies and trainers to create a national network to share best safety practices. 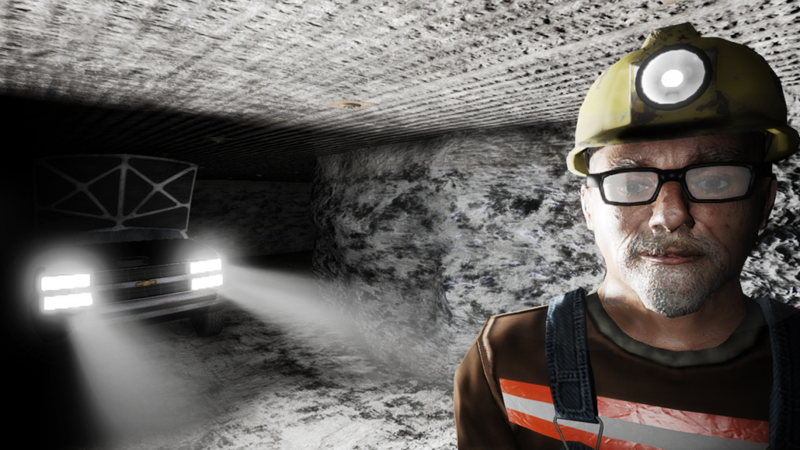 “The games allow researchers and safety professionals to analyze the decisions workers make in complex situations and use that feedback to improve situational awareness, improve operating procedures and foster behaviors for safe work,” said Leonard Brown, PhD, research scientist for serious games at the Lowell Institute for Mineral Resources. “Serious games allow a trainer to utilize the effectiveness of on-the-job training while not exposing the new miner to physical harm. Mistakes are life’s greatest teachers, and with serious games new miners learn these lessons in a safe environment,” said Glenna Smith, CMSP, safety professional at McCraren Compliance. “The success of our mining safety and health research at the UA is founded on the interdisciplinary approach that we bring to problems, as well as our strong partnerships with stakeholders,” said Mary Poulton, PhD, who was a University Distinguished Professor of mining and geological engineering, as well as the founding director of the Lowell Institute for Mineral Resources.